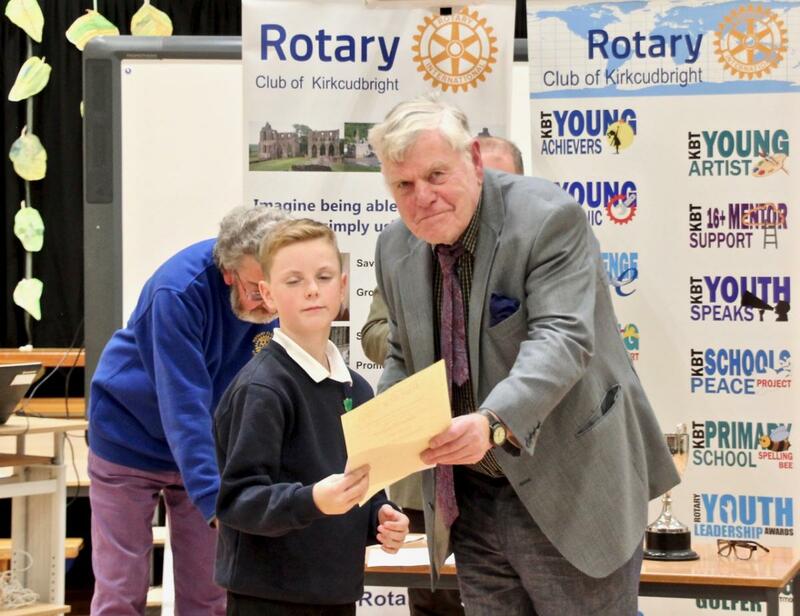 On Thursday 22ndNovember 12 pupils from Kirkcudbright, Auchencairn, Borgue, Gatehouse and Twynholm Primary Schools, took part in the Rotary Club of Kirkcudbright’s Junior Youth Speaks Competition at Kirkcudbright Primary School. 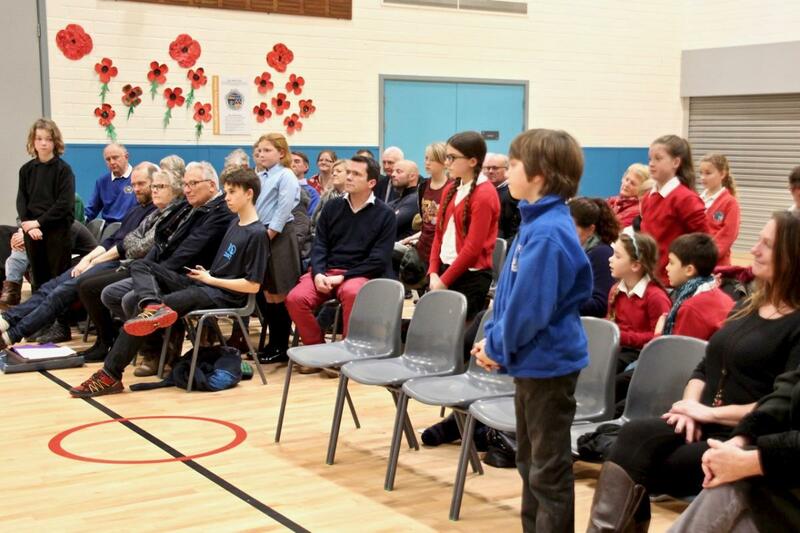 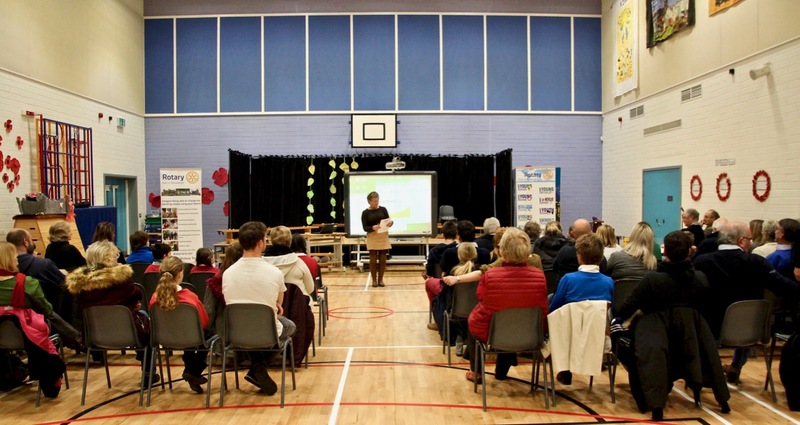 The large audience enjoyed talks presented by the pupils featuring a wide range of topics. 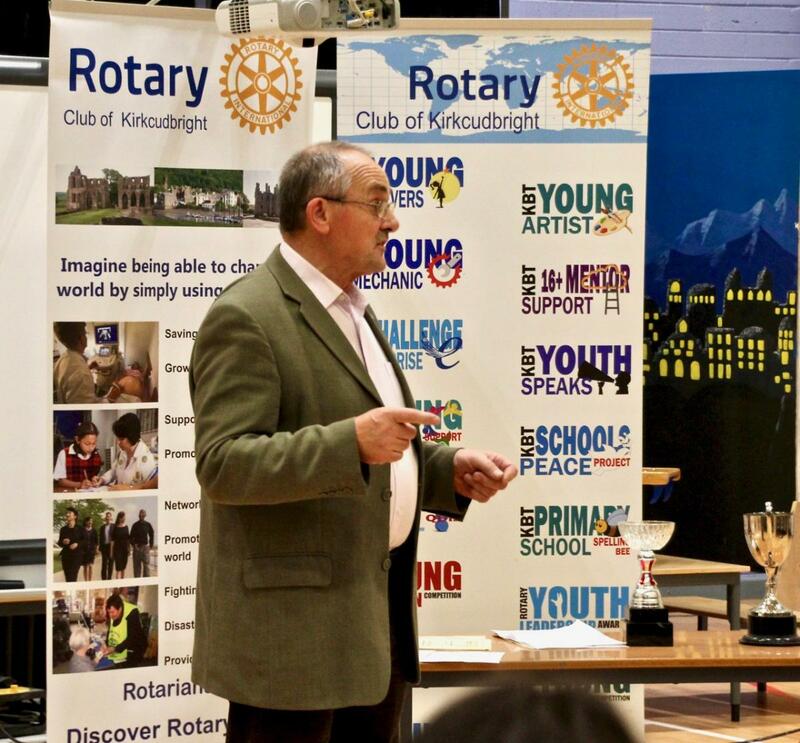 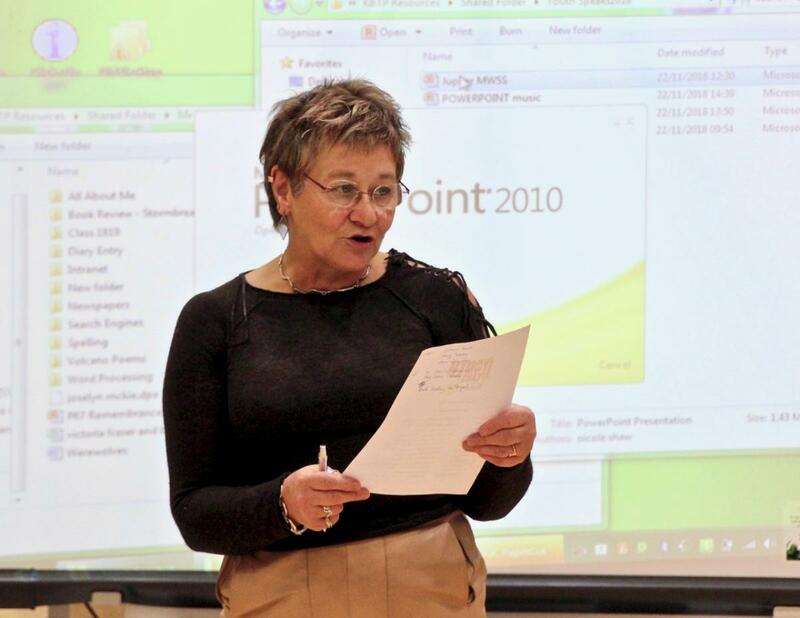 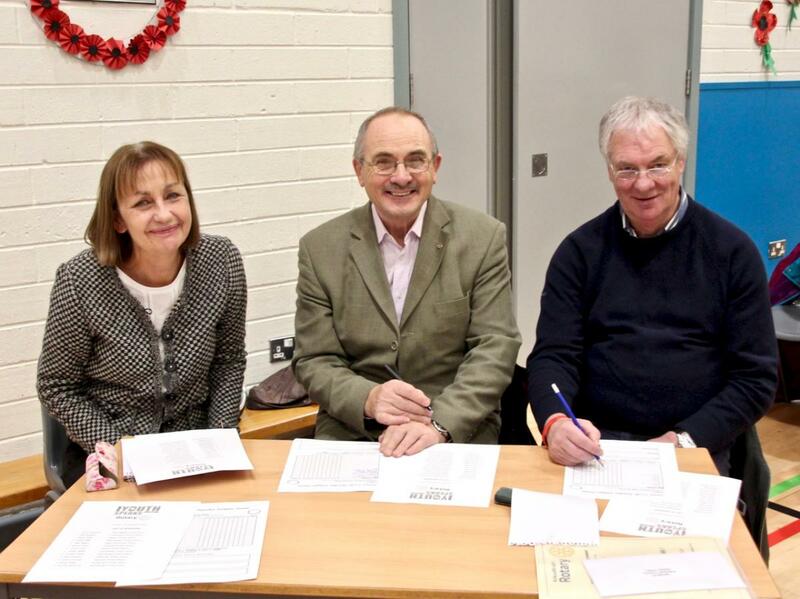 The panel of judges consisted of Mr John Johnson, Retired Head Teacher of Johnston School, Mrs Mary Tebay, Retired Teacher, and representing Kirkcudbright Rotary Club, Mr Graham Finch, Retired Minister. 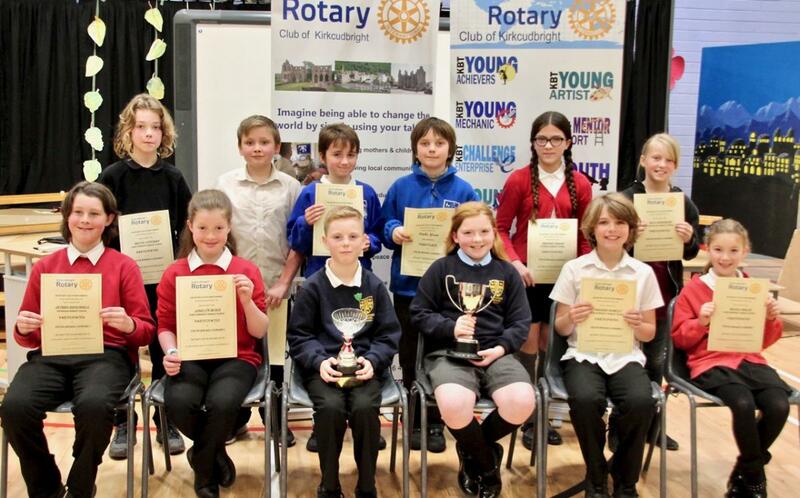 The winners were: 1stBeth Hutchison; and 2ndJake Higgins, both from Gatehouse Primary School. 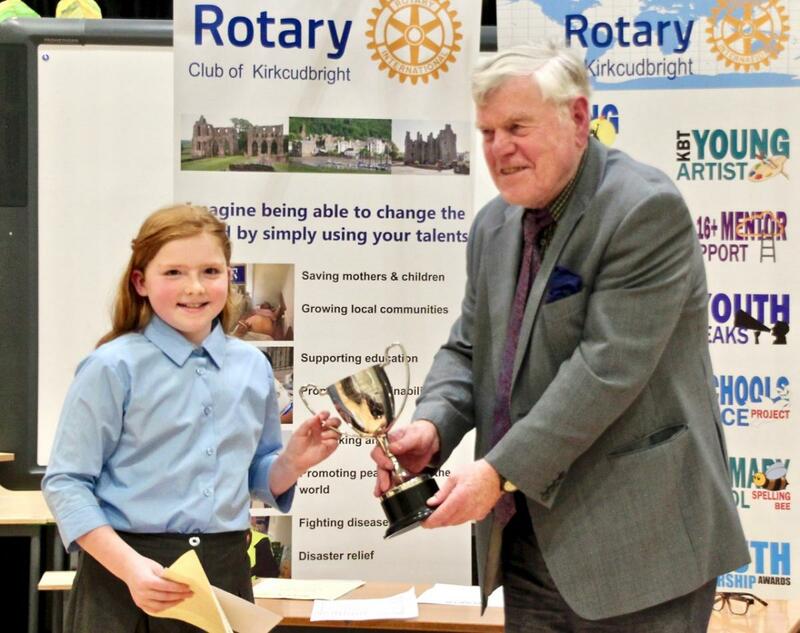 Murdo Shaw from Borgue Primary School was recognised by the judges as the most promising speaker. 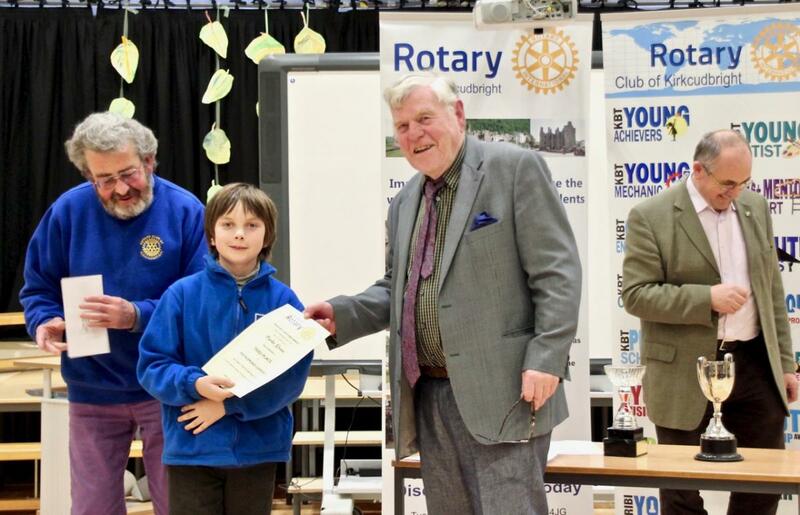 The Head Judge, John Johnson, praised the pupils for their confidence and commended their efforts in participating in a most enjoyable event. 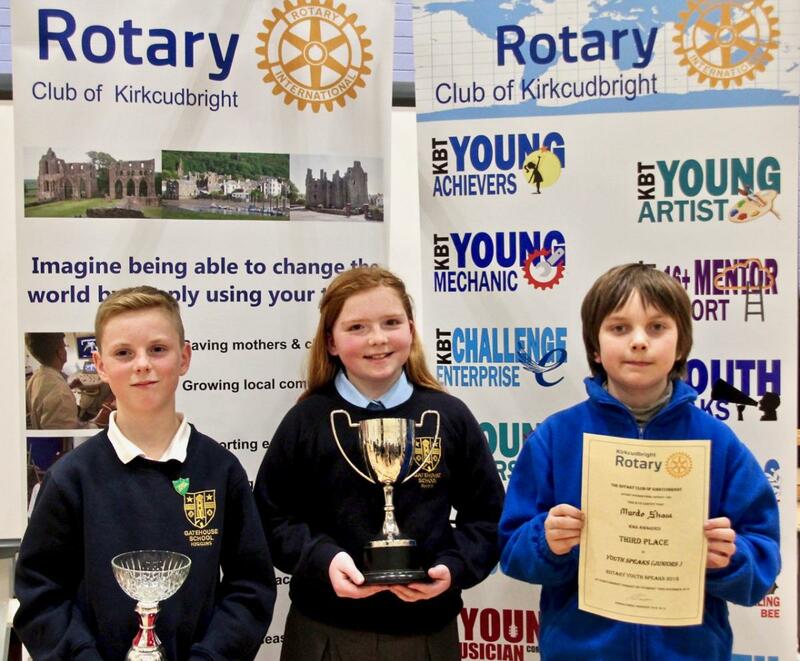 Gordon Cowan, President of Kirkcudbright Rotary, presented Beth Hutchison and Jake Higgins with their prizes, which included trophies and all 12 pupils received a Participation Certificate. 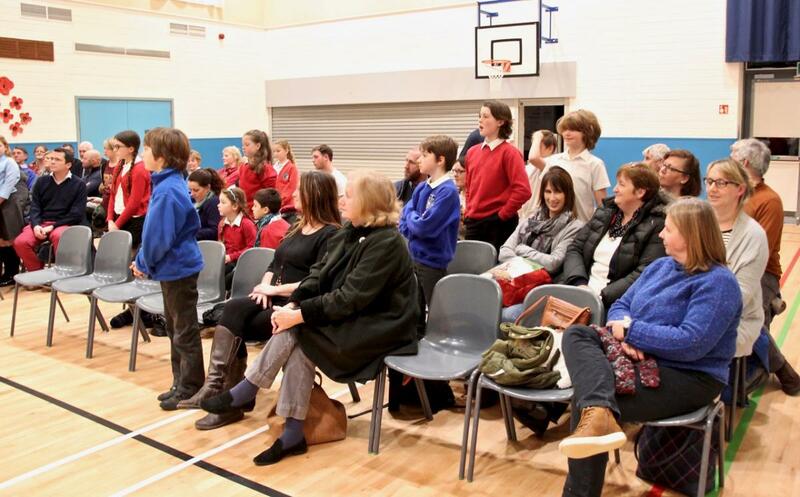 In her closing comments, MC for the evening, Louise Finch, thanked the teachers from the Primary Schools and the pupils’ families for their encouragement and support of the pupils who took part in this event.